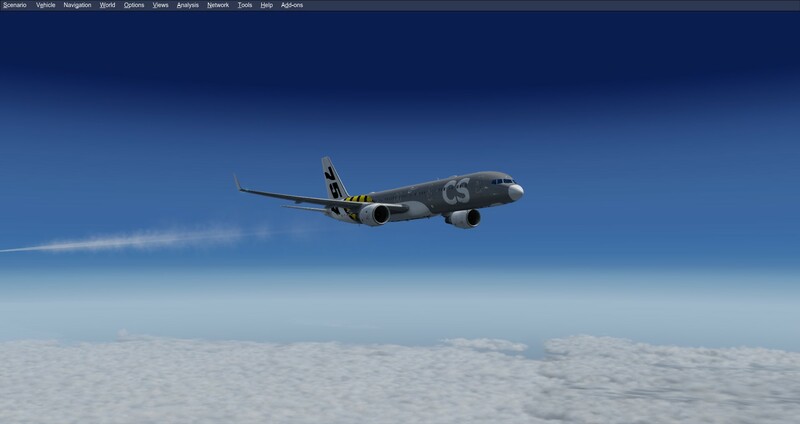 Although designed for short and medium length routes, the 757-200 has since been used in a variety of roles ranging from high-frequency shuttle services to transatlantic routes. In 1992, after gaining ETOPS approval, American Trans Air launched 757-200 transpacific services between Tucson and Honolulu. Since the turn of the century, mainline U.S. carriers have increasingly deployed the type on transatlantic routes to Europe, and particularly to smaller cities where passenger volumes are insufficient for wide-body aircraft. 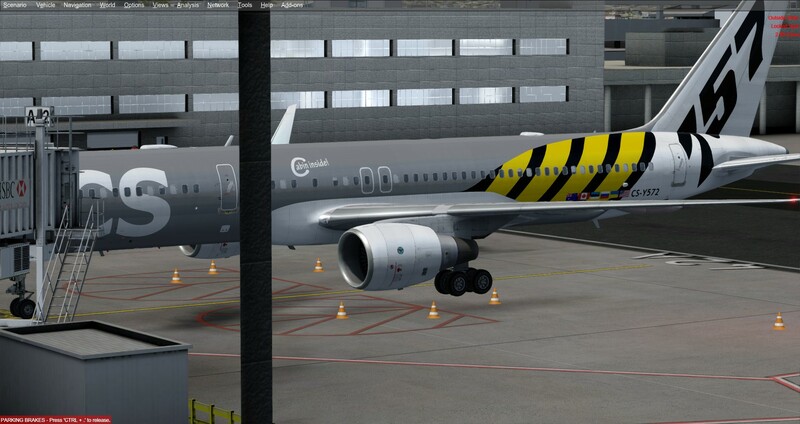 Production for the 757-200 totaled 913 aircraft, making the type by far the most popular 757 model. At over 4,000 nautical miles (7,410 km), as of February 2015, the longest commercial route served by a 757 is United Airlines' New York to Berlin flight; the aircraft assigned to this route cannot fly with full payload. 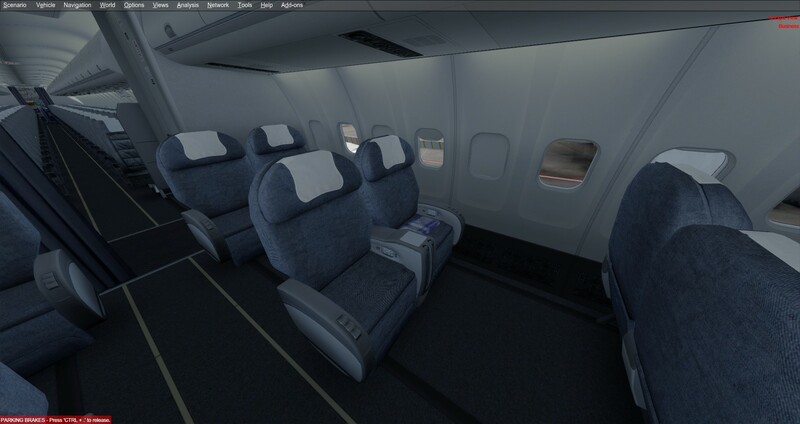 United's 757s assigned to transatlantic routes are fitted with 169 seats. In July 2018, 611 of the 757-200 versions were in service. 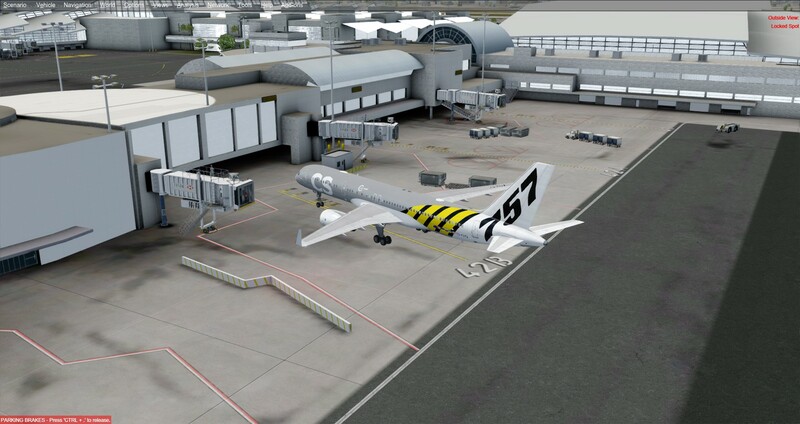 Upon purchase, the download comes in a single .exe, which installs the 757-200 in 4 different aircraft configurations, as outlined on the CS website. 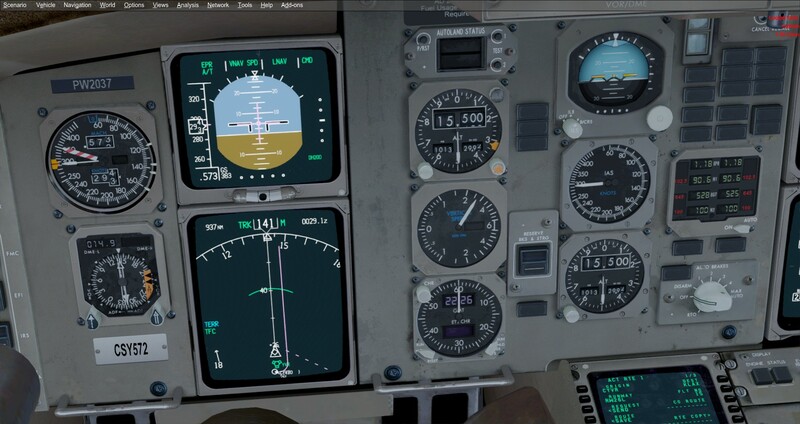 My first impression of the 737 CS III when I saw it was the level of detail modeled in the cockpit compared to screenshots of her older sister, the version II. 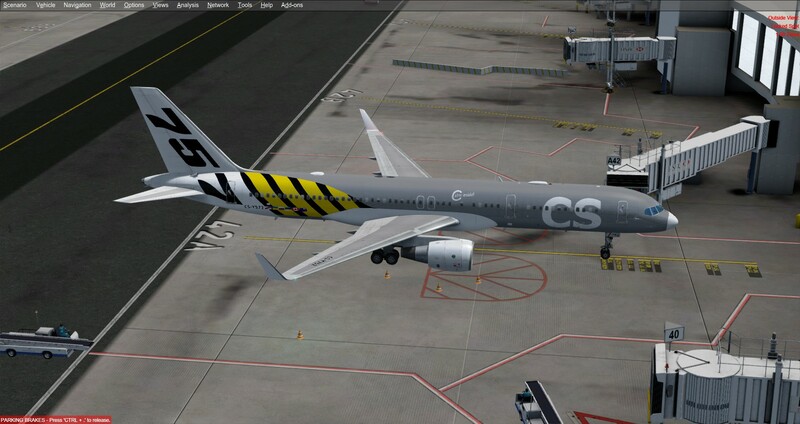 It raises the bar entirely to a completely different level for CaptainSim. 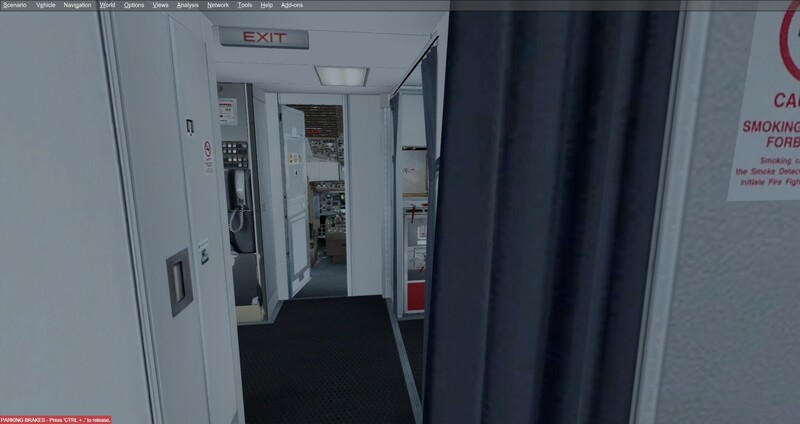 The aircraft will take a moment to load, so at first, you will see the yoke turned to the left and screens blank. Do not sweat! That is normal. I'm assuming the aircraft is communicating with the activation server or just loading its data to prepare it for a nice flight. Think of it as an uplink the the real world to the aircraft's dispatch centre, where they start their telemetry and tracking for the journey ahead. This review is using GSX and also my commentary. 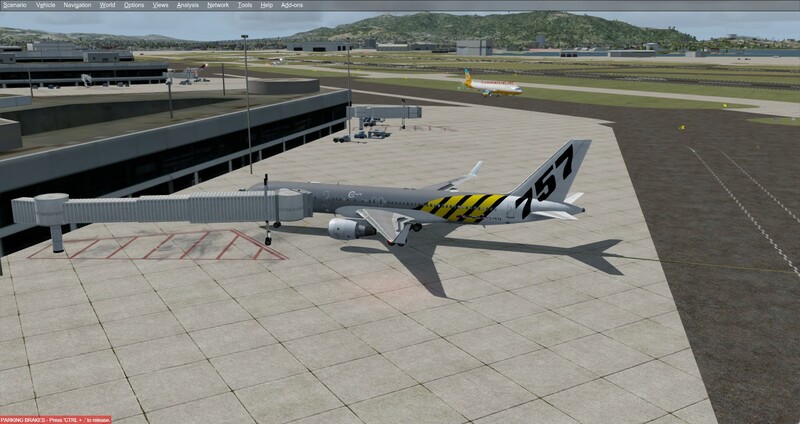 The 757 does not come with any ground handling vehicles by default - just wanted to throw that out there. 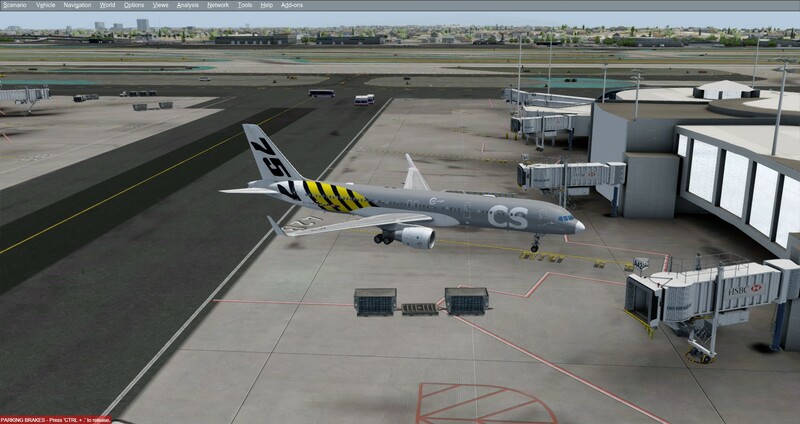 For this flight, we will be taking flight CS110 from LAX -> SFO. 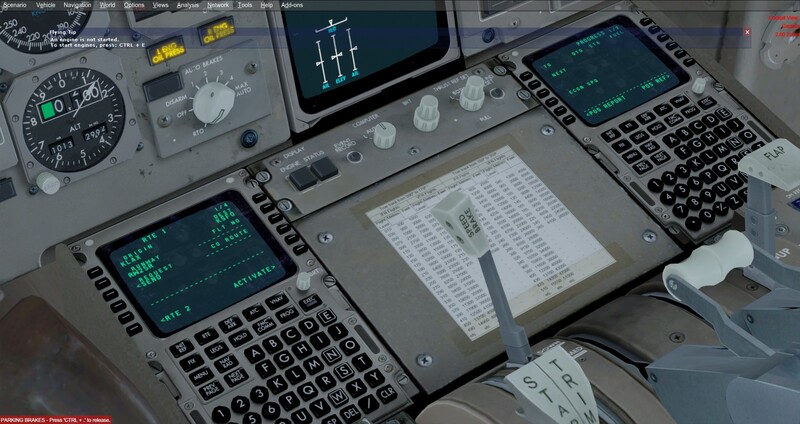 Let's setup the flight management computers! Our route takes us up to a cruising altitude of 35,000 ft.
One of the things I love about the 757 Captain III -- and definitely one big highlight of this addon aircraft -- is the interior cabin. It is not your everyday interior cabin you find half-done, no no no. 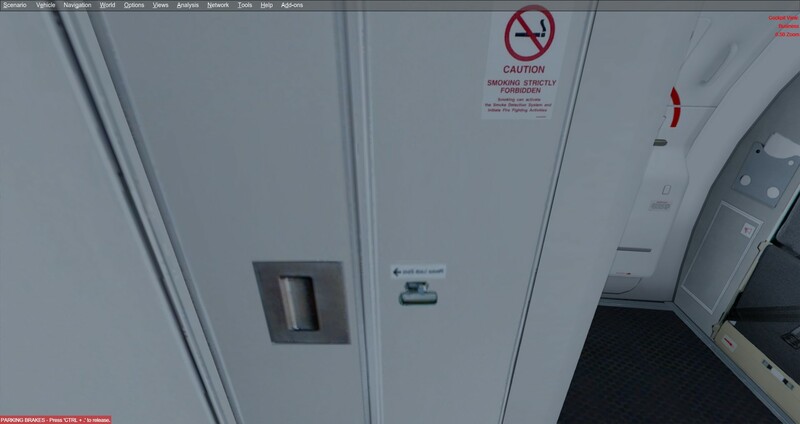 This cabin is modeled down to the sticker that indicates toilet seat covers in the lavatory--which, by the way, has animated folding lavatory doors! 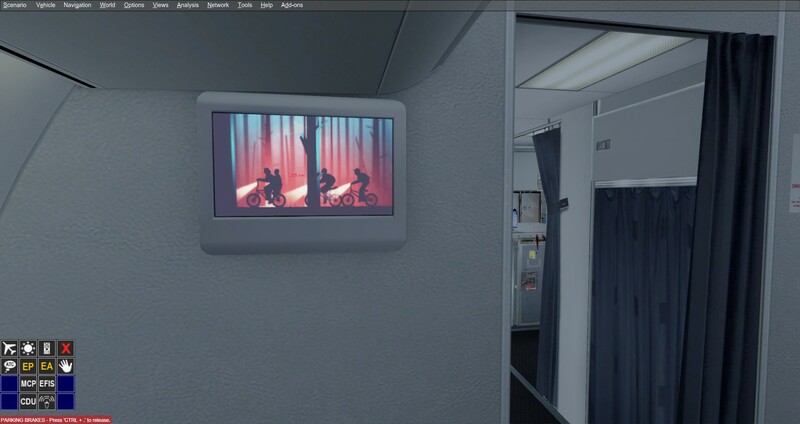 This is THE MOST DETAILED and MOST COMPLETE cabin interior I have ever seen in an addon aircraft. You get not just an amazing cockpit, but also an amazing cabin just as well modeled. 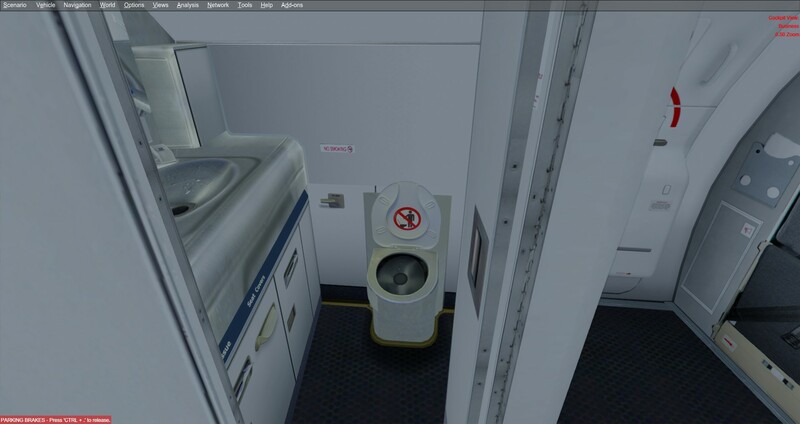 Below images: the level of detail in the lavatory! Below images: the most well-done well-designed well-modeled cabin I've ever seen. 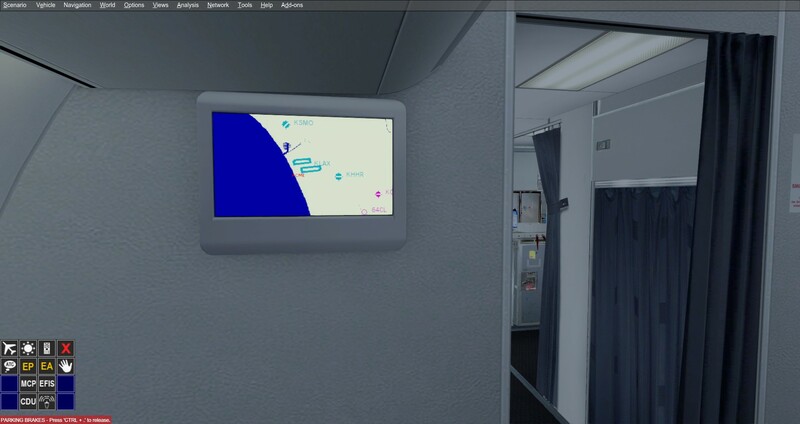 You can even change the channel for the in-flight entertainment screens -- making them display the map, an animation representing a TV show, and a welcome aboard message. 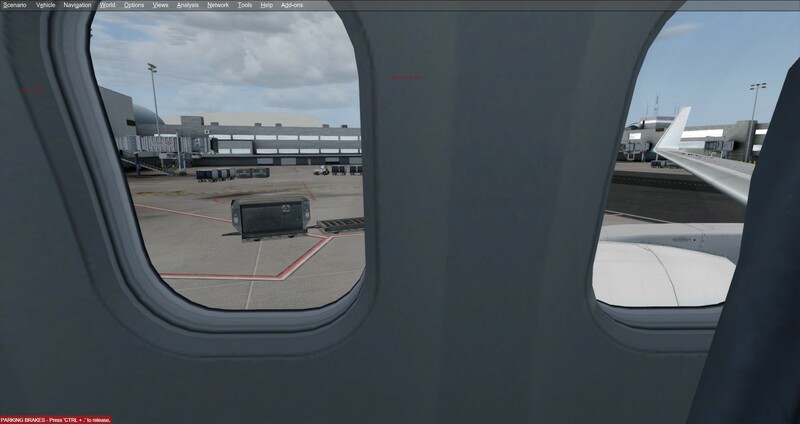 These images/video sequence are found in the CS folder in the root P3D directory, customizations to virtual airlines specifications should be very possible. 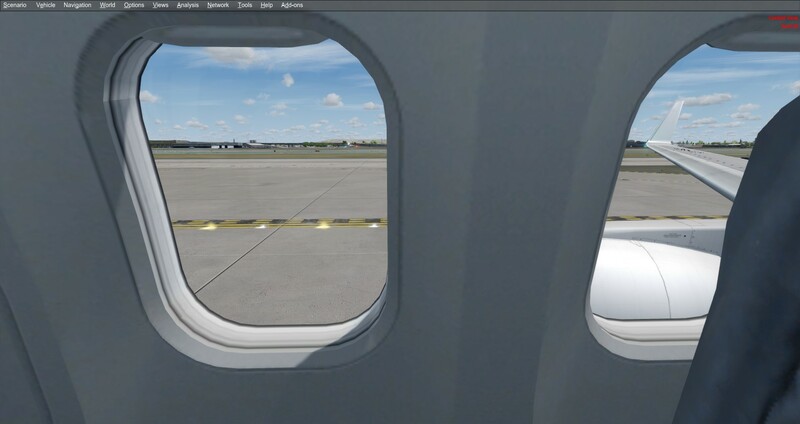 Cabin door closed, ready to go! Time to close the cockpit door! 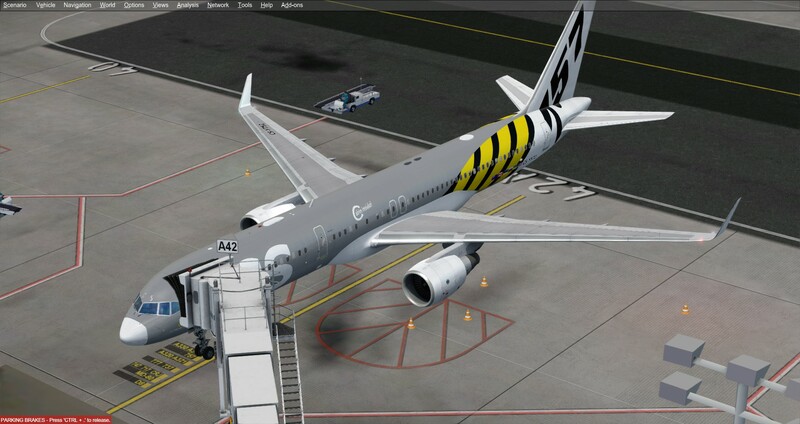 The last of the passengers have now boarded and we are ready for pushback. 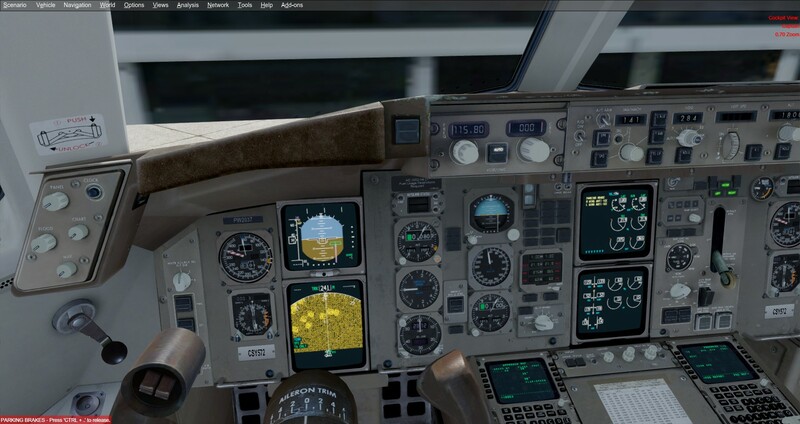 We will be using GSX to push us back. 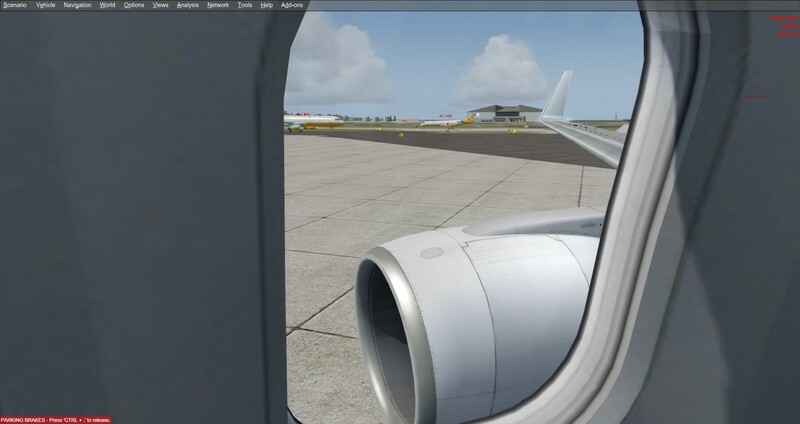 Because this is not a review for GSX, I will not be showing any commentary or screenshots of the pushback. Taxi out is pretty simple. 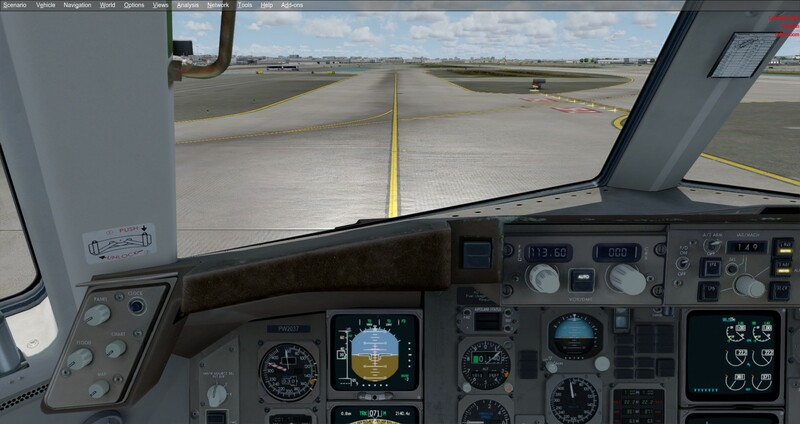 Follow the taxiway to the end for departure on runway 25R. 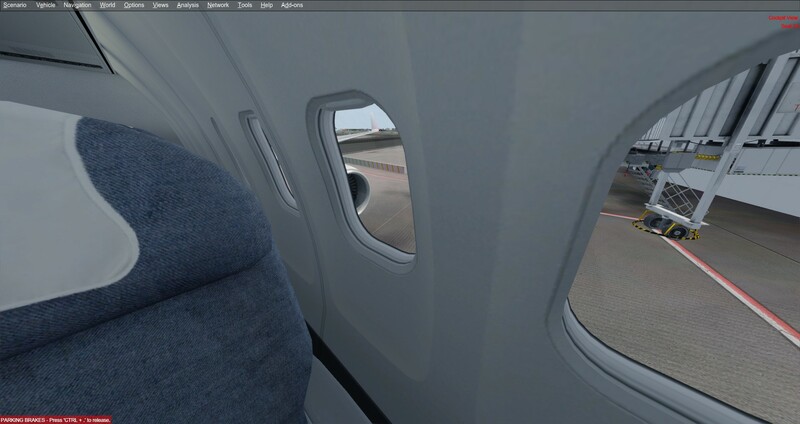 Enjoy some views of the cockpit and the cabin. For my reviews, I always hand fly up to 25,000ft. 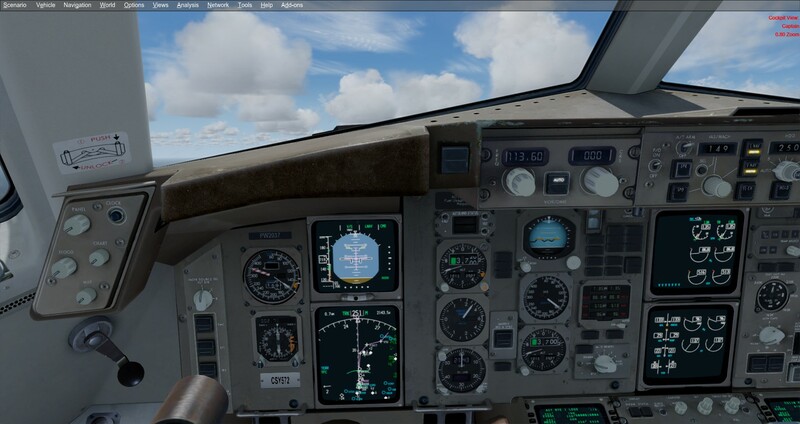 You will see the autopilot engaged (the FMA says "CMD") in the takeoff photos but that was because I wanted to make sure someone / something is in control of the aircraft while I hop back and forth between the cockpit and cabin for screenshots. (someone has to fly the plane!) 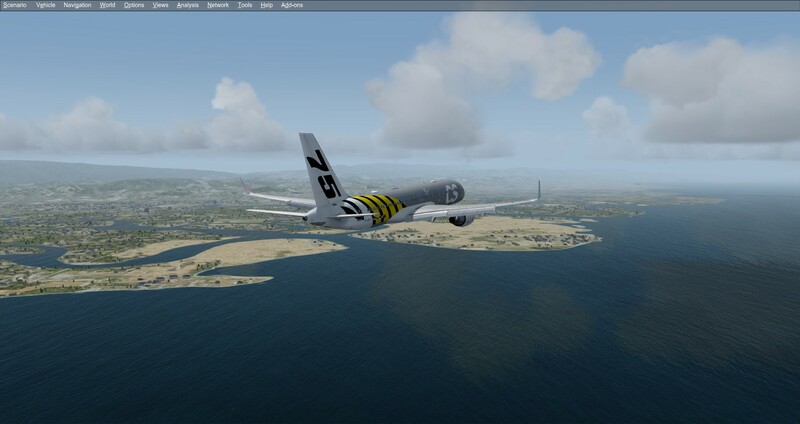 Once I was done with the screenshots, the autopilot went off and I was complete control of the aircraft. For my commentary, I'm basing the feel of the aircraft on the stats -- the payload and weight/balance. 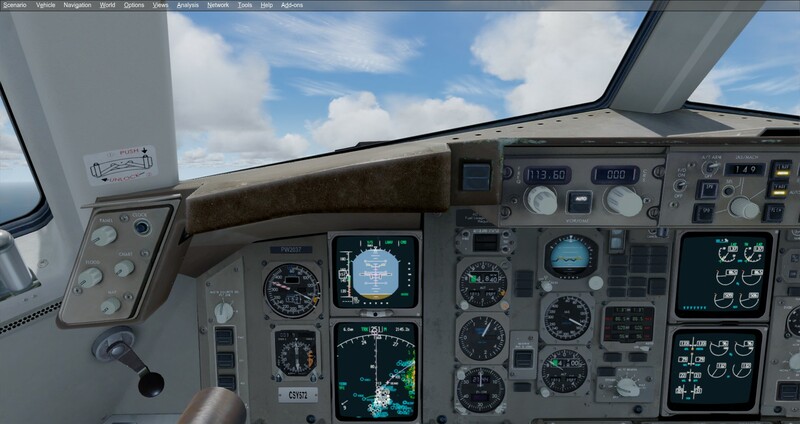 For example - if the aircraft is heavy, it should "feel" heavy in P3D; it shouldn't feel as light as the Diamond 40NG I fly in real life. All in all, what you set the payload to is what you get. You set it heavy, it feels heavy. It accelerates slow, has higher V-speeds. You don't get a light aircraft feel while at MTOW, and vice versa -- you set it light, you get a light aircraft. You won't be getting a heavy aircraft feel at minimum payload / baggage. For my reviews, I do 2 tests: one with a fully filled out FMC with route / performance / takeoff info and one with a direct-to route from the departure airport to the destination. 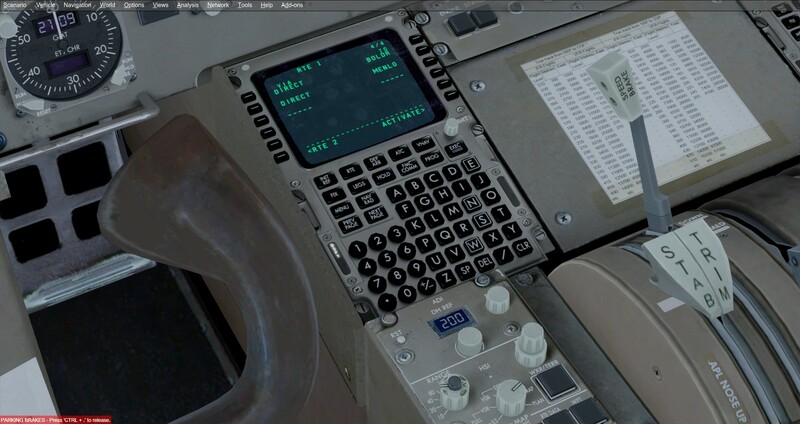 I do this because some customers, out of excitement, cannot wait to read manuals on how to fully program the FMC and just want to try flying the aircraft from one airport to another as a first flight. Alas, we are at San Francisco. For the descend, VNAV will start the descend once your TOD is reached. 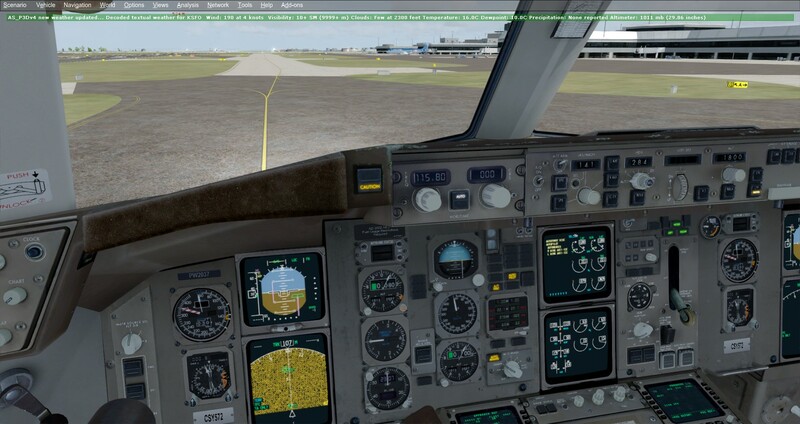 I won't go into detail about VNAV for the purposes of a review and not a tutorial, but it works as expected and gets the aircraft down to levels that are ready to be given manual ATC instructions for the pattern. 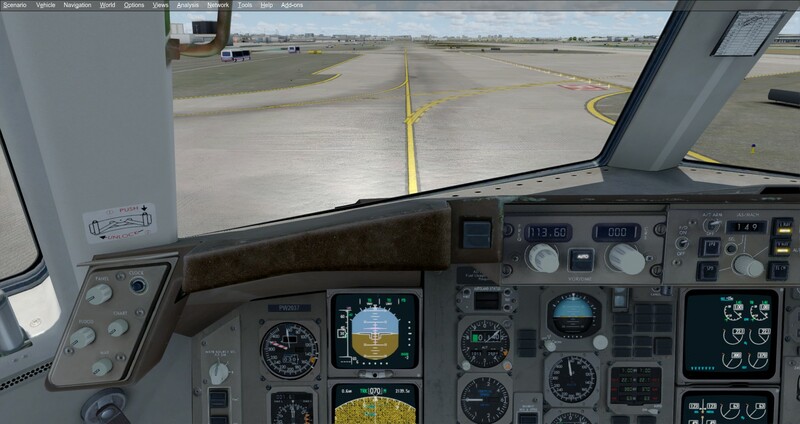 As always, fully manual landing. 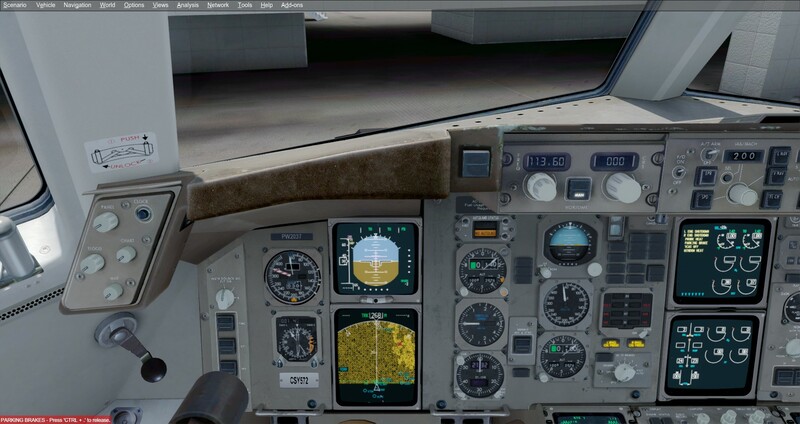 One of the things I've always look for in a good landing is if I am on approach and the EGPWS callouts get to "40, 30, 20" and I start the flare. 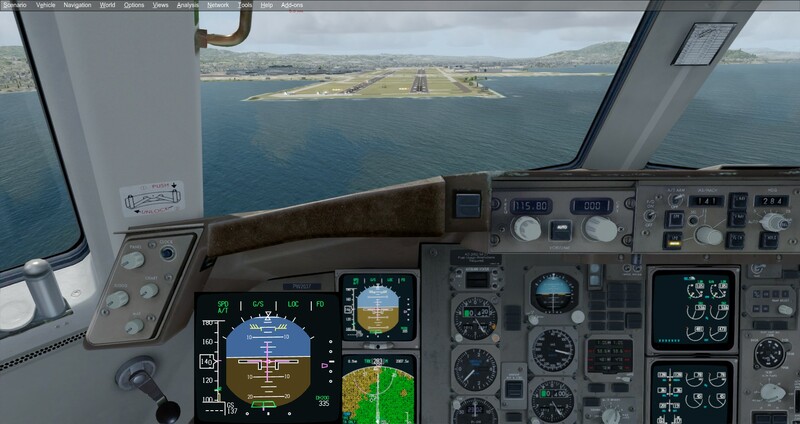 The aircraft, as long as you do not flare too much, will get that "sinking to the runway" feel as you manage your throttle and keep the approach on a good glide parth down to the runway. 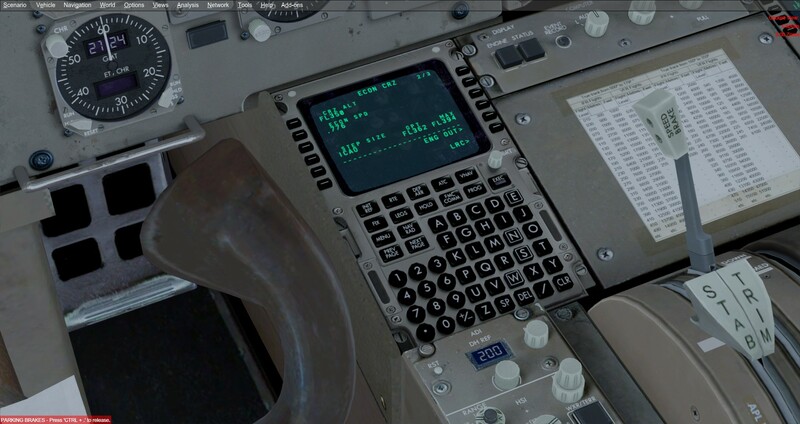 The 757 Captain III shows just this and I am very satisfied with the manual flight experience. 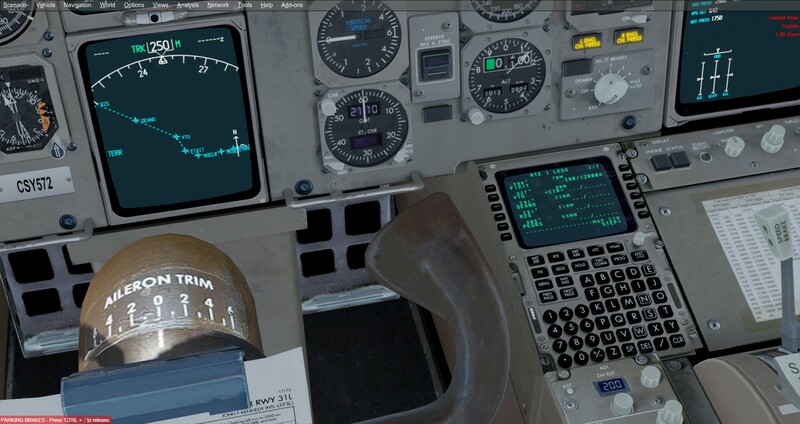 I have flown the 747-400 full flight simulator at an airline's internal training centre before they retired their last 747 in 2017 and that was the way I have handled the landing (except, compared to the 757, you flare a bit earlier for the Queen, as you are on her 2nd deck in the cockpit; on the 757, you're on the first level). I'll close with some photos of the taxi in. 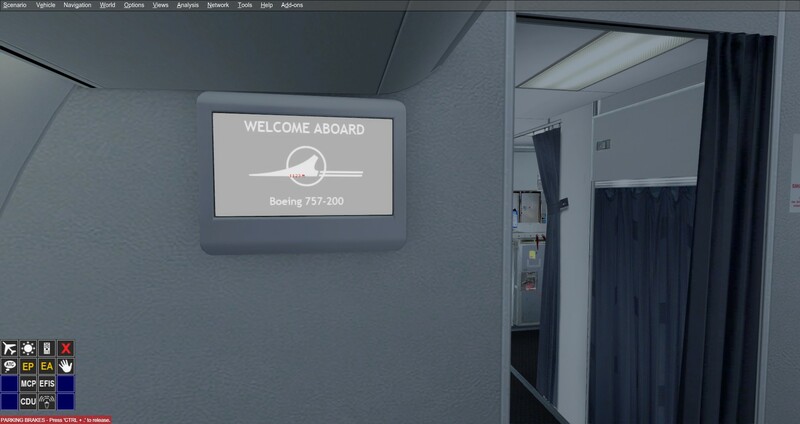 Aircrafts that come with both a virtual cockpit AND a virtual cabin are rare. 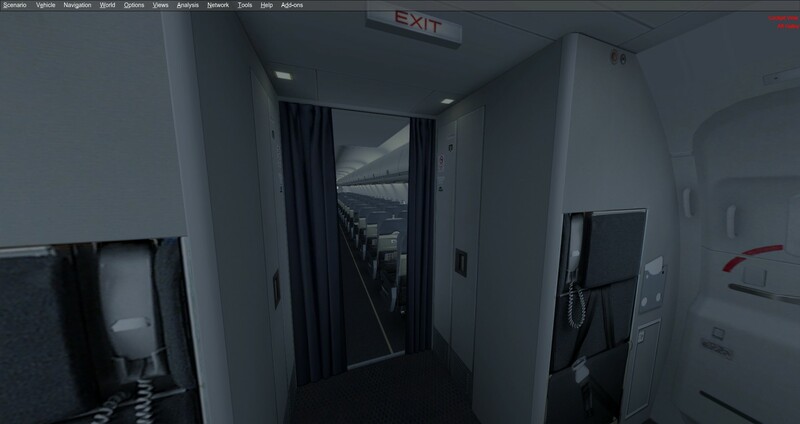 There would be the occasional one or two with a half-done virtual cabin and detailed virtual cockpit. 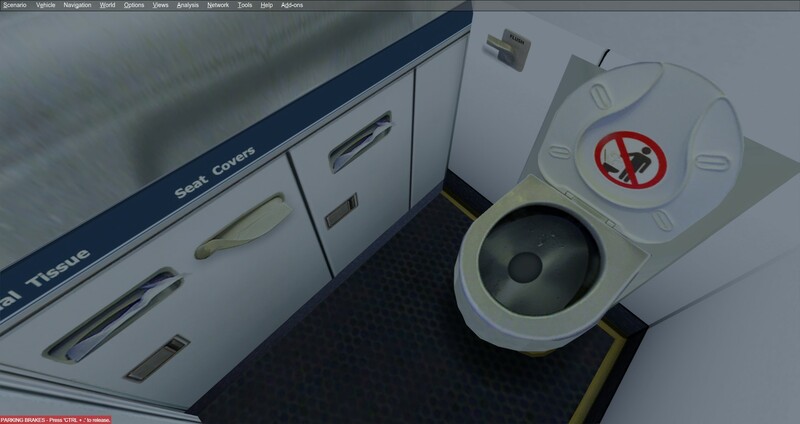 Or they would come with a half-done virtual cockpit and feature a detailed virtual cabin. Or perhaps both are half done. The 757 Captain III does not fall in any of those categories mentioned; it is a class of its own: detailed virtual cockpit, detailed (and even interactable) virtual cabin. Something as small as the EGPWS terrain database number showing up on the ND during an EGPWS TEST is modeled -- that shows how much effort has been put in each aspect of the systems. This, in my opinion, with the amount of work that has gone into the product, is definitely worth its retail price. 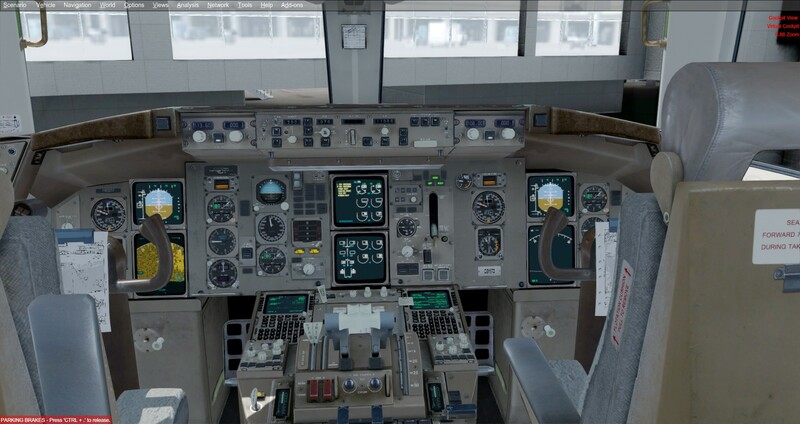 With the beautifully modeled cockpit and cabin, the in-depth systems, and how responsive the handling is with accordance with the weight and balance, I am very satisfied with the 757 Captain III. 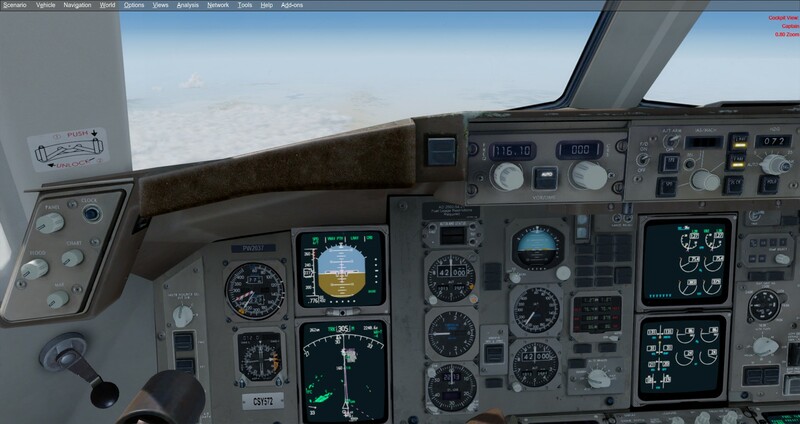 There are a couple of realism issues I see but for an average flight simmer, it is barely noticable unless you have the perfect eye. 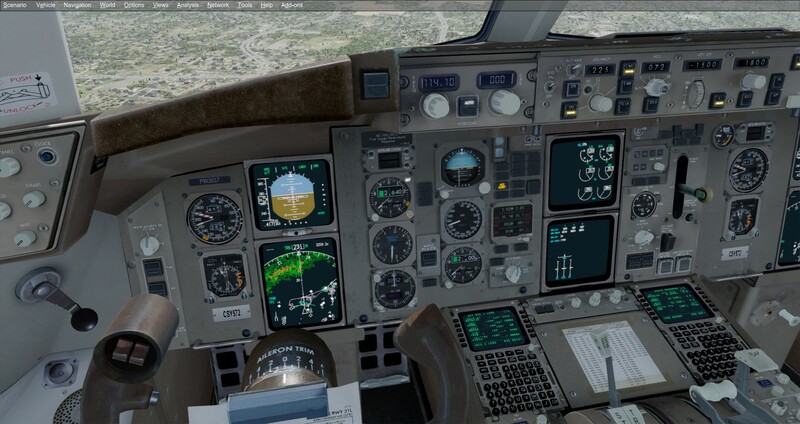 At SimReview.ca, we hold our title of being an review website for high quality flight simulator addons; it is likely that all the addons we review on here hold the Gold Award to qualify it as "high quality" in our personal opinions. 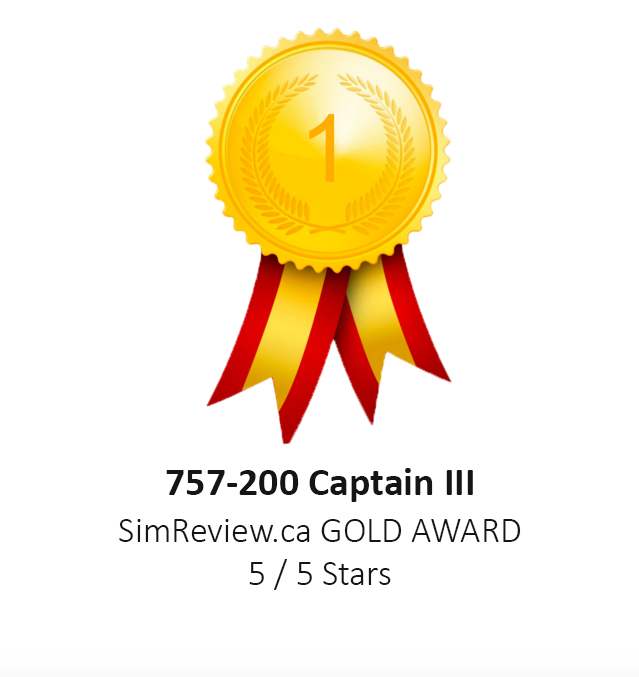 With that said, we would like to give our third Gold Award to Captian Sim for the 757 Captain III.